Size of this preview: 469 × 600 pixels. Other resolutions: 188 × 240 pixels | 375 × 480 pixels | 747 × 955 pixels. 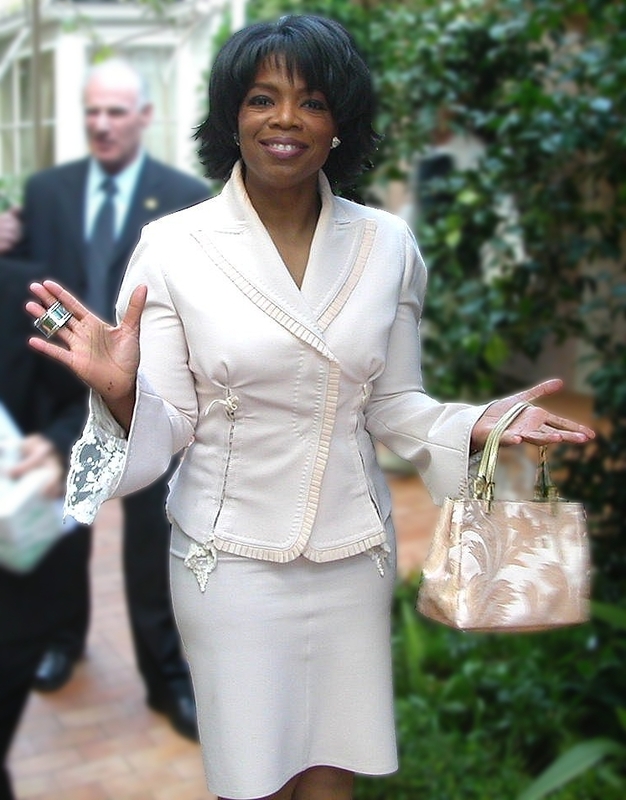 English: Oprah Winfrey at the Hotel Bel Air in Los Angeles during one of her 50th birthday celebrations. I was staying at the Hotel Bel-Air in January, 2004 when Oprah was coincidentally having one of her 50th birthday celebrations. She was very nice to pose for me, and I wished her a happy birthday. This image, originally posted to Flickr, was reviewed on March 23, 2007 by the administrator or reviewer Andrew Levine, who confirmed that it was available on Flickr under the stated license on that date. current 00:36, 27 November 2010 747 × 955 (390 KB) Aineolach Blurred the distracting background.